MAMEoXtras v2.1 is released. 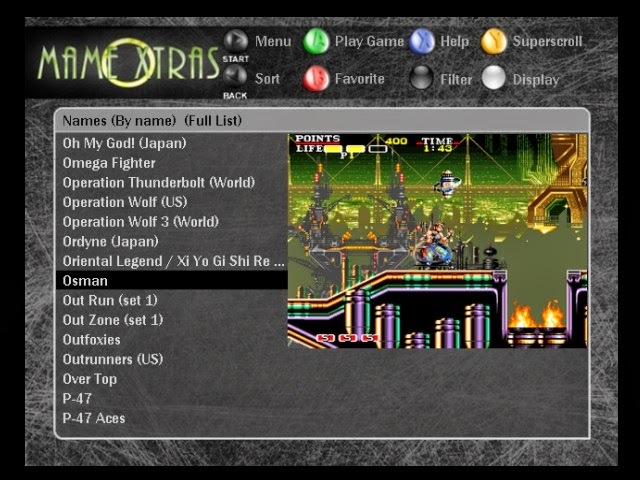 MAMEoXtras is a port of the popular MAME (Multi Arcade Machine Emulator) system for the XBOX. This is an update to MameDOX based on Version 1.1. Featuring new updated driver work and brand spanking new skins. Contains coding by Erik Abair, opcode, luckyMIC, superfro, XPort, bendermike, Ebsy, HK$, IQ_132, gamezfan, destronger, cbagy, And BritneysPAIRS. Added support for the Cave PGM games plus then updated and vastly improved the sound for the Cave PGM shmups and to a lesser extent all the rest of the PGM games via a new custom ICS2115 soundcore many thanks to ShmupMAME and amadvance for the original code.